UniFi is a spectacular networking platform – typically, the controller is on the LAN, but it can really be hosted anywhere. This guide will show you how to set up a Digital Ocean hosted UniFi Controller in about 15 minutes. Digital Ocean is a super easy virtual server platform. They make it extremely easy to spin up new servers for testing or production, and also provide an incredible amount of documented resources and help to get you going. 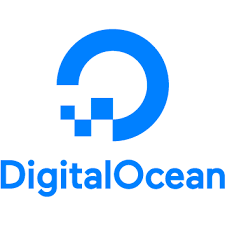 If you have not signed up for Digital Ocean, but find that this guide has been helpful, please click on the Digital Ocean logo below – this is my referral link, and will get you $10.00 worth of credit towards your virtual servers. Log into Digital Ocean and create a new droplet. Go with Ubuntu 16.04.2 x64 and then pick your size (the $5.00/month tier is fine, but I recommend the $10.00/month tier for UniFi). Next choose a datacenter region closest to you and change the hostname to something friendly. In my case, I used unifitest.crosstalksolutions.com. Click Create and your droplet will be created. You will now receive an email that contains your IP address and temporary root password – copy that root password from the email and open PuTTY. Enter in the IP Address for your Digital Ocean droplet and press Enter to connect. Click YES when asked about authentication, and then login with root as the username. When prompted for the password, use SHIFT+INS to paste the password you copied from email. You are first prompted to change your root password. Click SHIFT+INS again to paste the copied ‘current’ password one more time, and then enter in a new password twice to set a new root password. This password should be a significantly strong password, and follow best practices for password creation. *** EDIT 10/26/2017 - added the 3478 UDP stun port as per feedback from you guys! This turns on the firewall, and you’re good to go. If you did anything wrong, it is entirely possible that you just locked yourself out of your own Droplet…but no worries! Just go back to your Digital Ocean dashboard, destroy your droplet, and start over. Your local time should be set correctly (in 24-hour format). *** EDIT 10/26/2017 – This step is probably no longer necessary. I just did a new DO Droplet today, and it is now 4.4.0-97-generic by default. That being said though, there probably no harm in simply running the sudo apt-get-install linux-image-generic command anyway. to reboot the Droplet. You will be disconnected from PuTTY – wait about 60 seconds, and then log back in via SSH. More UniFi blog posts to follow!